Tinyard Enterprise Co.,Limited is one of the top level China big box overwrapping machine manufacturers and suppliers, welcome to wholesale big box overwrapping machine from our factory. This machine is suitable for single auto. 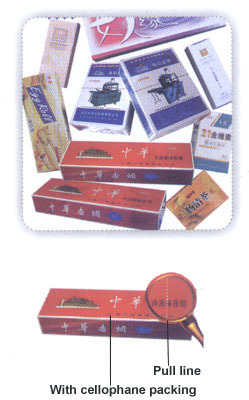 packaging of various big box products in medicine, food, cosmetics, stationery and office supplies, such as packing of medicine box, poker, napkin paper, tape box. After packing, the products are dust-proof, damp-proof, improve its addtional value and level. It adopts imported inverter and elements, can automatically finish the processes of film wrapping, box feeding, film folding, heat sealing and counting; it also can auto. stick anti-forging and easy-tearing line. The pull line on packaging can be printed company name and symbol, can bring anti-forging laser and phosphorescence(show fluorescenece under shining of ultraviolet rays), which is one of the best anti-forging methods. Can pack different sizes of boxes by changing folding plate and few parts.